This post brought to you by The Gorilla Glue Company. The content and opinions expressed below are that of unOriginal Mom. 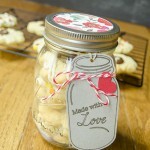 Mason jars are one of my favorite things to use in home and party decor. I use them all the time as vases (like I did in my Pallet Box Centerpiece), and I often use painted mason jars in my party decor. But that means I’ve accumulated lots of leftover mason jar lids! Of course, I didn’t throw them away…because who knows when you’re going to need a dozen or so mason jar lids for a random craft project, right? 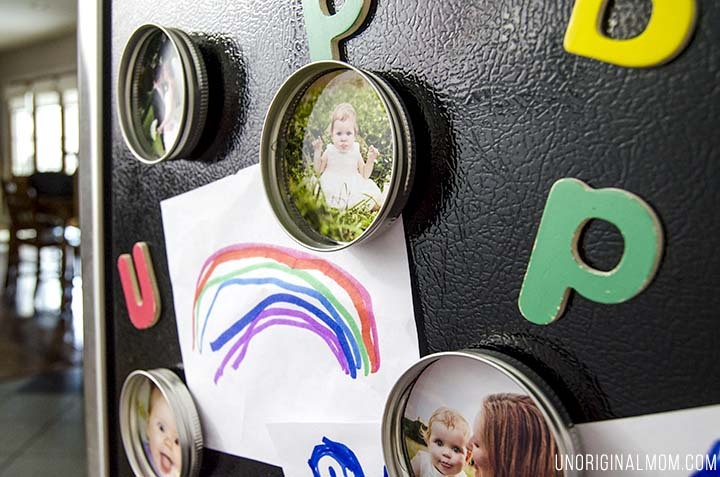 I saw some magnet photo frames using baby jar lids, and that’s when the inspiration struck – why not upcycle those leftover mason jar lids as some cute little magnet photo frames? Adorable! And best of all, super easy. The challenge, though, was finding some adhesive that would be up to the task. 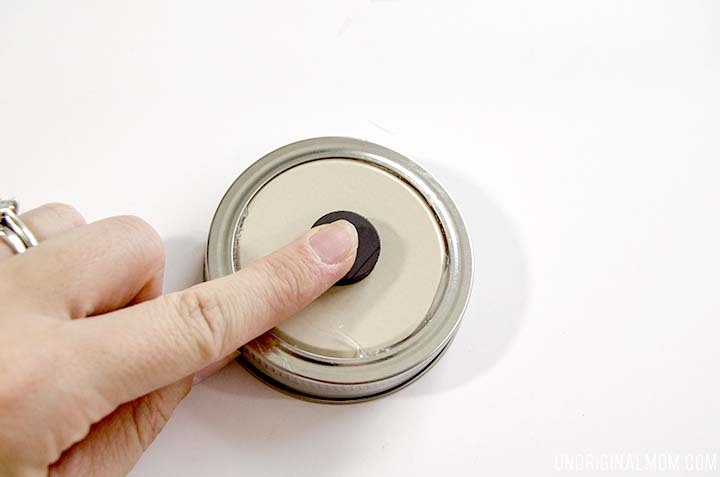 Originally I tried making these with regular hot glue, but when I went to press the magnet onto the back, the lid insert I had hot glued on just popped right off. The next one lasted through attaching the magnet but after a time or two of being put on and off the fridge the magnet just came off. My regular craft store hot glue just wasn’t up to the challenge of metal-on-metal, or holding onto a magnet. Then, I was introduced to a new product from Gorilla Glue – Gorilla Hot Glue! This stuff is amazing. Seriously. 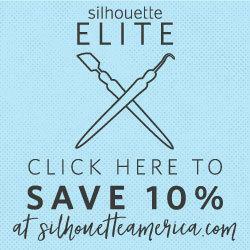 A new must-have for crafters. It’s hot glue sticks that you can use in your regular glue gun on high or low temp, but it’s a lot more durable. 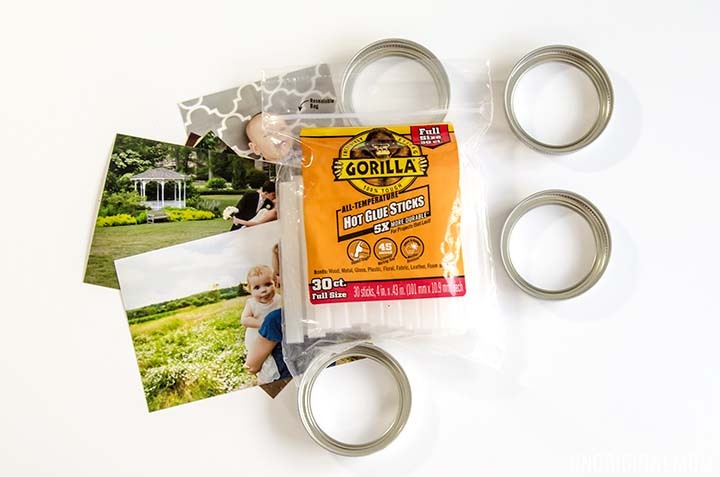 Gorilla Hot Glue is weather resistant, so it’s great for both indoor and outdoor use (can anyone say DIY wreath projects?? ), plus it has a 45 second “extended working time” – so it’s so much easier to work with that regular hot glue. It worked like a charm adhering the metal mason jar lid insert to the ring, and held the magnet on the back with no problem. You guys – I am in love! I can’t wait to use this on more projects. It’s available at Walmart, so hurry over there to snag a bag and try it out for yourself! 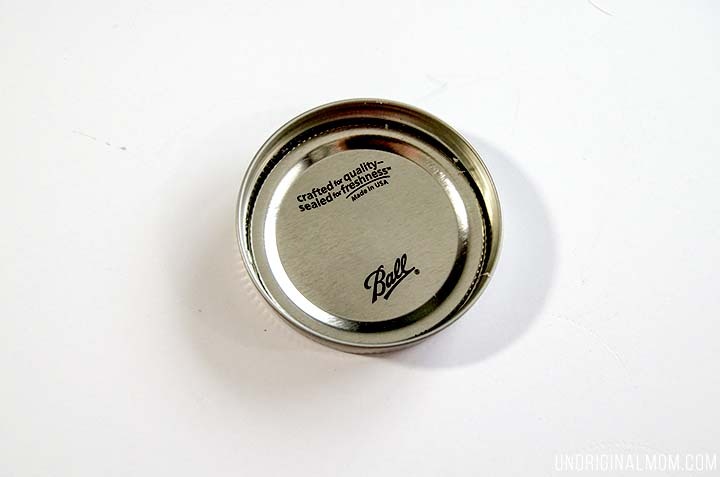 Ok, now for the quick tutorial on how to whip up some of these upcycled mason jar lid magnets for yourself. It’s super simple! 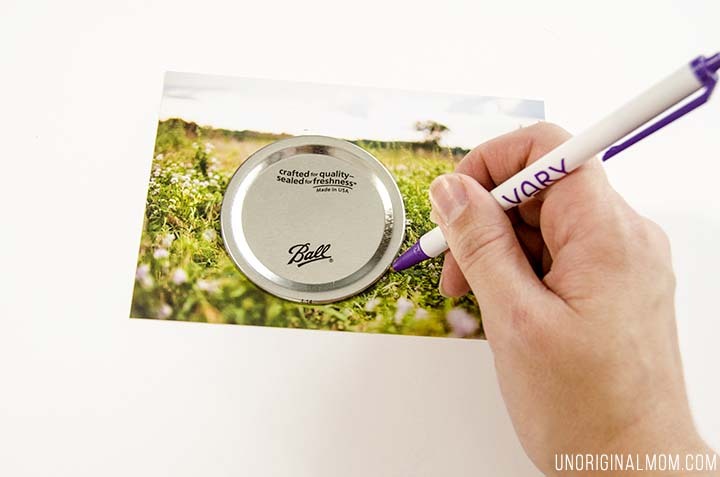 Use the lid insert to trace a circle onto your photo, then cut it out. Glue the insert to the inside of the lid ring. Careful – the metal will get HOT from the glue, so don’t burn your fingers! 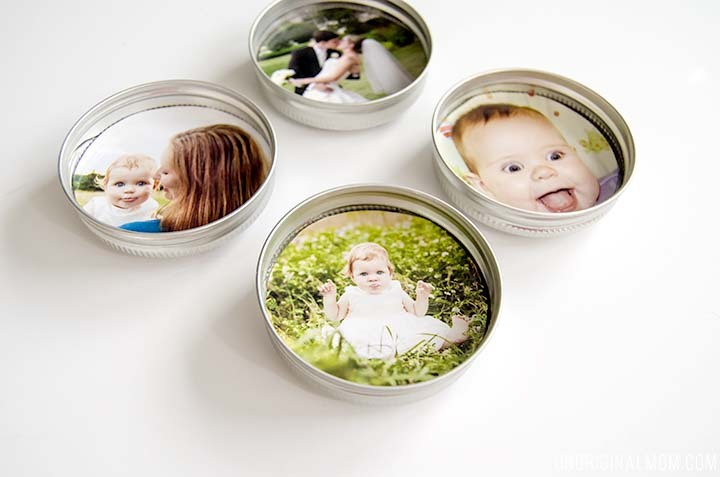 Glue the photo to the inside of the lid. (Preferably a ridiculously cute one of your kid making a silly face.) If you wanted to make your photo pop out a bit more, you could also trace and cut out a piece of thick cardboard to glue behind the photo. I tried that but I liked having the photo a little bit deeper inside the lid to create more of the frame effect. Totally up to you, though! 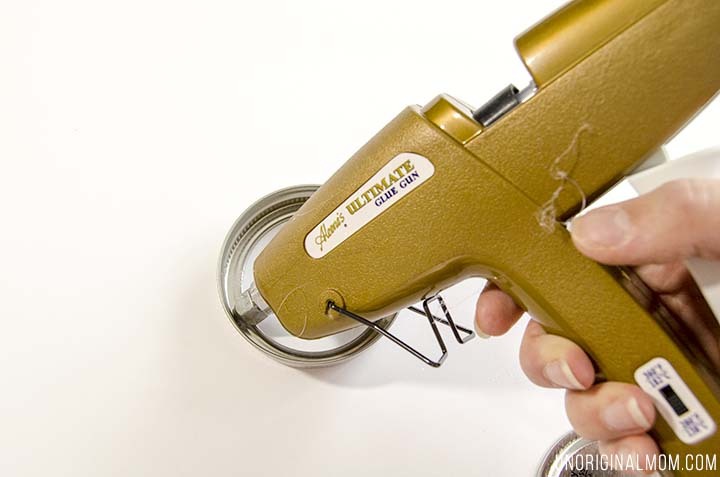 Glue a magnet to the back of your frame. Voila! They look so great on the fridge! And in case those directions weren’t clear enough for you…or you just want to listen to some fun and catchy music…here’s a quick little video tutorial! Don’t forget to pin this project! Here’s a handy pinnable image for you. 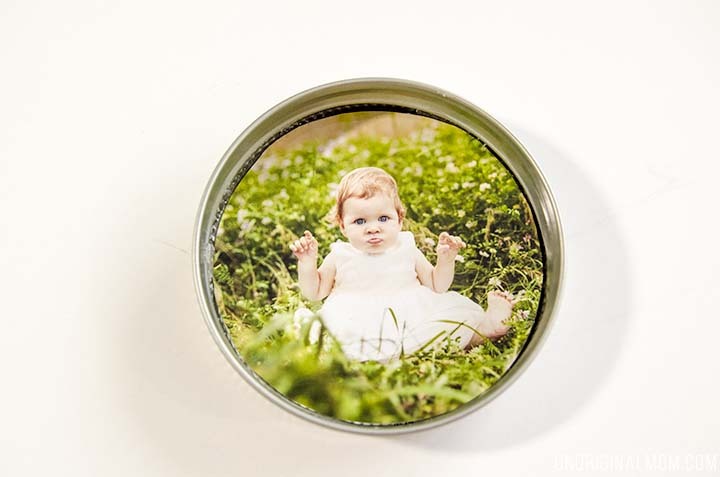 These little magnets would make such great handmade Christmas gifts too, don’t you think? 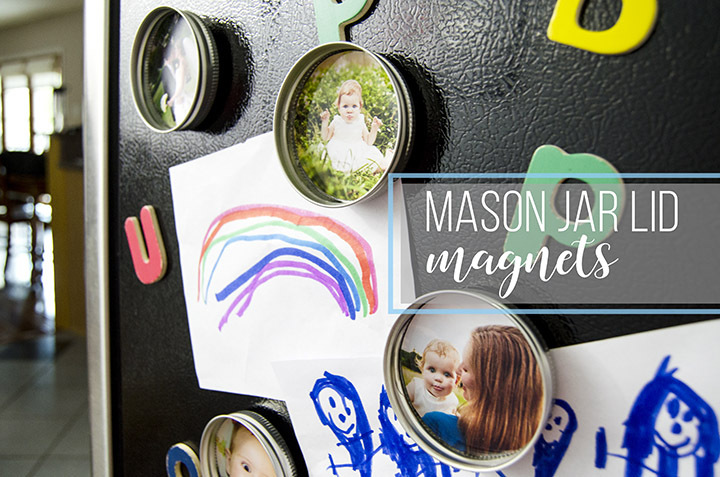 You could even add a ribbon instead of a magnet to make ornaments! 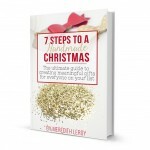 If you’ve ever thought about hand making some or even all of your gifts this Christmas, enter your email into the form below to get a free printable gift recipient list as well as a peek at a chapter from my book, 7 Steps to a Handmade Christmas! Wow great giveaway! Would love to win this. Lot I could buy with this. Thank you for a super giveaway! God bless. What perfect way to use up the extra lids! I am going to make some of these for stocking stuffers! Thank you for the brilliant idea! This same idea would make cute Christmas tree decorations, without the magnet. Hot glue a ribbon or string of beads or pearls around the edge with a loop for hanging. 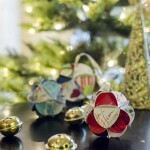 Before adding the ribbon and picture (or recycled Christmas card cutouts) you could spray paint them Christmas colors. I never leave comments on stuff, BUT I wanted to say that this is AMAZING. Such a great idea. Well done! Hi, I’m a librarian in Indiana and would like to do this craft with the adults at my library. May I use your image to promote the craft? I would leave your blog information on the image as well as cite your blog as the source of the craft idea. Thanks! Hi Krystal, sure, that’s fine with me. Thanks for checking! Cute and sweet. I’m certainly putting this into the rotation with crafts I do with my kids.